Impact Economy: Blog series on key opportunities in impact investing and frontier markets. Can capital markets drive profits and help make the world a better place? The answer is emphatically yes. Investing is shifting away from a two-dimensional approach based on risk and return to a three-dimensional approach based on risk, return and impact. Why? We live in an increasingly crowded and digital world. The last frontier markets are becoming part of the investment universe. As scarcities tighten, total resource productivity is becoming a factor of comparative advantage. Digital is disrupting how we create value. The Internet of Things alone is a 19 trillion dollar opportunity. New value propositions serving the four billion people in the world who are poor and need pretty much everything are helping to drive progress while assuring social stability. They also open up new multi-billion dollar markets. As of summer 2015, investment firms who had signed up to the United Nations Principles of Responsible Investment were managing 57 trillion dollars. The goal now is to provide substance to this theoretical commitment to take into account the social and environmental consequences of investment decisions, thus incorporating a three-dimensional perspective based on risk, return and impact. Quality investment research is essential to understand the opportunities and to be able to act on them. 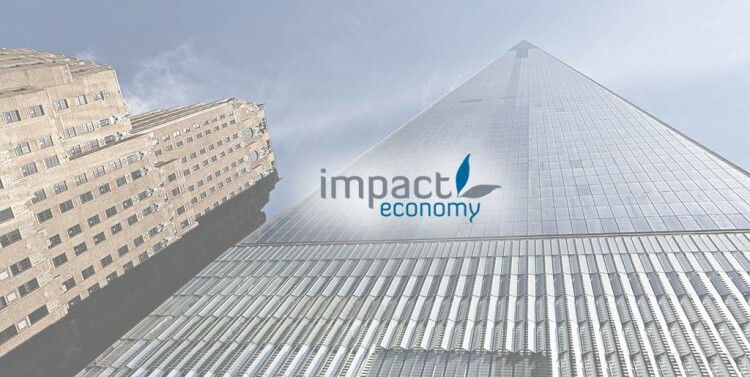 In this exclusive series for ResearchPool, impact investing pioneer Dr. Maximilian Martin, founder and CEO of Impact Economy, brings together insights from work on innovation and capital markets over the past fifteen years, shares insights from the firm’s areas of coverage, and provides market commentary. Part One. Cuba: Why Invest for Impact in the Americas’ Last Frontier? Cuba has deep modernization and investment needs in agriculture, energy, and other sectors, which will be critical in order to be sustainably competitive in the global market. There is a race to Cuba this winter. Exceeding 100,000 French visitors last year, Cuba is breaking records on the French market. Package sales have almost doubled compared to the previous year. “It’s crazy to find rooms,” tourism professionals lament. For entrepreneurs and investors, excess demand is an opportunity rather than a problem. Cuba is the Western hemisphere’s last remaining transition economy. The country is approaching an epochal opportunity that is comparable to the transformational change in the successor countries of the former Soviet Union and member countries of the Council for Mutual Economic Assistance (Comecon). The International Fair of Havana (FIHAV), held this year from 3-7 November 2015, highlighted the wide range of interested parties. Ahead of the possible lifting of U.S. sanctions on Cuba, the Minister of Foreign Trade and Investment assured the visitors that there is room for everyone: “Cuba does not want to depend on a single market again,” he said. Momentum is building. The prospect of rapprochement between the country and its northern neighbor has made 2015 a transformational year for Cuba’s reintegration into the global economy. The U.S. Department of State removed the country from its list of “State Sponsors of Terrorism” in May. The United States restored diplomatic relations with Cuba in July, and Pope Francis visited Cuba in September, traveling on from Havana to visit Washington, DC. We are witnessing the early days of the normalization of political and trade relations. U.S. trade delegations now no longer need to apply to the federal government for permission to travel to Cuba. U.S. companies are allowed to export equipment to non-state sector agricultural cooperatives in Cuba without prior federal approval. For investors, the exciting news is that the Cuban government is upgrading the role of foreign investment in its development strategy. This is timely: there is an across-the-board need for modernization. Latent demand for consumer goods is massive. There is an in part sophisticated healthcare sector and impressive biotech capability. By-and-large however, the combination of economic sanctions and an economically inefficient development model has resulted in five decades of underinvestment in the country’s infrastructure and most sectors of the economy. Take the tourism industry, the most important driver of economic growth and foreign exchange earnings. Tourist arrivals keep rising, from 2.85 million visitors in 2013 to more than three million visitors in 2014, and already two million in the first semester 2015. The expectation is that the 2015 full-year figure will be the highest yet. Many bottlenecks persist. Without additional capital investment, they will tighten further. For this year’s high season, Havana’s hotels are overbooked. Lack of supply is giving a hand to nontraditional digital competitors such as Airbnb in Cuba. Moreover, domestic light industry is unable to provide enough of the inputs needed to keep most of the value added in the domestic economy, rather than having to import inputs such as towels, guest utensils, bedding, or furniture. As explained in our new Global Investment Briefing “How Interesting is Cuba” the underlying pent-up demand for capital to fund new businesses and modernization is creating unprecedented opportunities for investors. The win-win for frontier investors follows from Cuba’s urgent need to achieve serious economic progress, and its resulting willingness to improve the rules of the game for those who bring the capital and the expertise. During ten years of foreign investment in Cuba under the previous legal framework (1993-2002), when there was an upward trend in FDI, the country attracted not much more than USD 2 billion in total. FDI made up only 8.2 percent of total investments in the country. Since 2009, the Cuban government has adopted a policy to prioritize its international short and medium term financial obligations. It renegotiated and signed several bilateral debts to honor agreements with the creditor countries. There was progress in the negotiation of a settlement agreement with the Paris Club. However, there is a price at home to pay for generating a primary surplus and meeting international financial obligations: the flipside of the new policy was a drop in gross capital formation, which fell from 10.9 to 7.6 percent during the last five years. Now compare this to the Cuban government’s aspirations: it speaks of growing at rates between 5 and 7 percent per annum. This to maintain a stable rate of capital accumulation of 25 to 30 percent, which has been the recipe to prosperity with one-party rule in China and Vietnam. The only way to achieve this is by upgrading the role of foreign investment in Cuba. The new goal are FDI volumes between USD 2-2.5 billion annually. To create an enabling environment, the Government enacted a new foreign direct investment (FDI) framework between 2013 and 2014. Many limitations that conspire against FDI on a very large scale persist. Foreign investment project approvals are selective and discretionary. This limits the degrees of freedom to invest in Cuba and raises transaction cost. It also creates an insider/outsider model, with a relative advantage to investors who overcome the hurdles to getting started. Cuba has no competition or antitrust law. Monopolistic market structures reduce the risks and challenges inherent in a competitive environment, providing greater potential for business expansion. There is a sense that pretty much everything is still to be done. The Cuban government is working hard to invite investors to be a part of the exercise, and is especially interested in investments that benefit the economy, thus having a positive social and environmental impact in the country as well. “How Interesting is Cuba” provides guidance for investors on the issues to consider to get it right in the Americas’ last frontier. Maximilian Martin is the Founder and CEO of Impact Economy. His investment and advisory work has helped define the trajectory of market-based solutions and the impact revolution in finance, business and philanthropy. Dr. Martin created Europe’s first global philanthropic services and impact investing department for UBS and the UBS Philanthropy Forum. In 2013, he wrote the primer on impact investing “Status of the Social Impact Investing Market” for the UK G8 policy makers’ conference. His new book “Building the Impact Economy” shows how to reconcile responsibility with opportunity and seize the multitrillion-dollar opportunity in the wings.